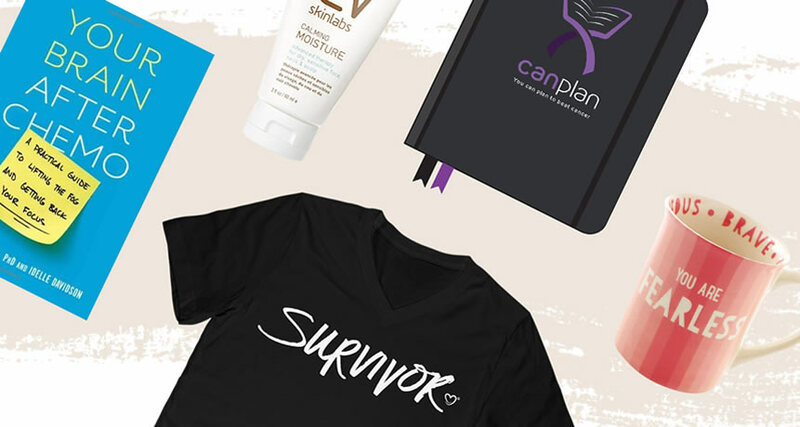 Our community has shown us the importance of solidarity in empowering one another throughout the cancer journey--especially after treatment, when some believe the fight ends. 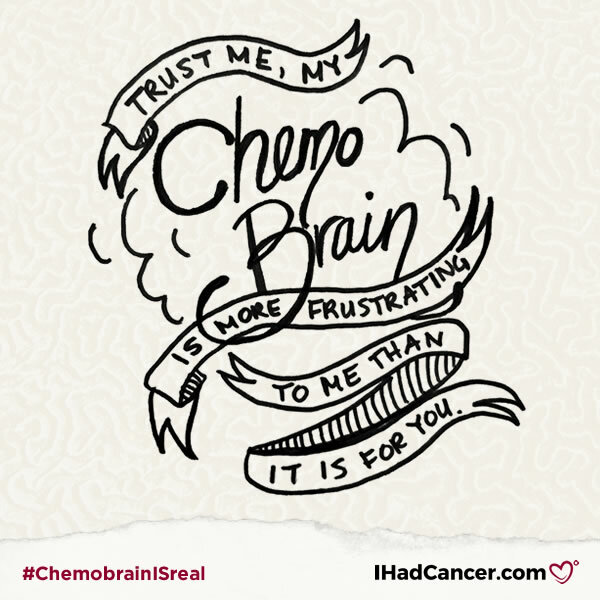 To keep you from endlessly repeating yourselves, here's a list to share with someone who may not understand chemobrain. 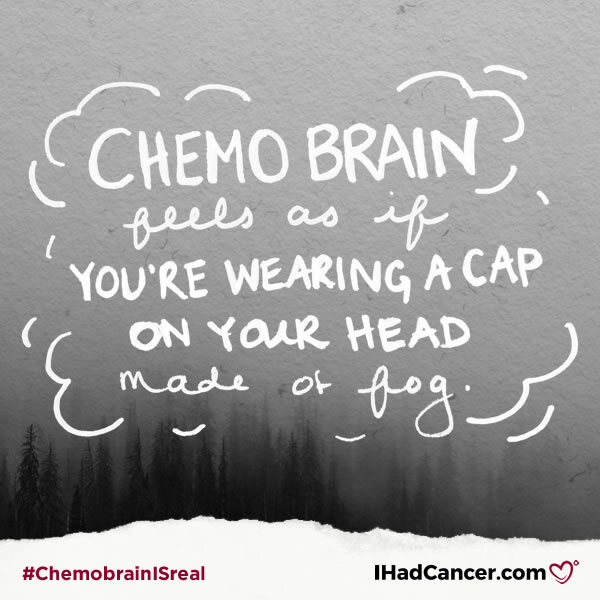 Chemo Brain, or Chemo Fog, is an increasingly common experience among cancer patients and survivors. 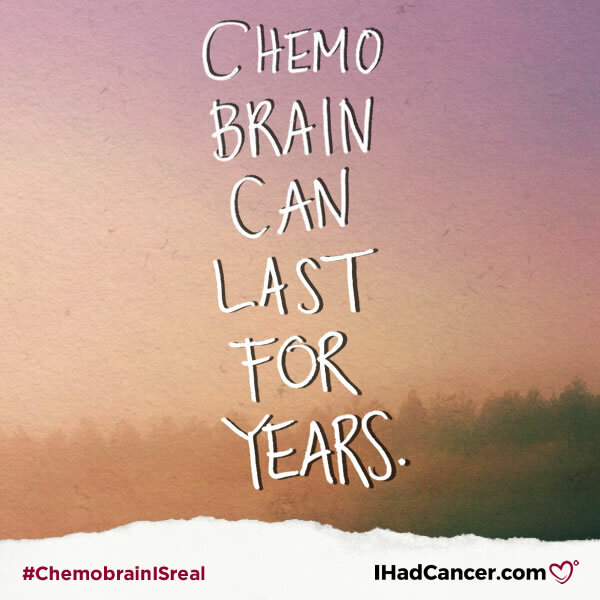 It can begin at any time during chemotherapy, even several years after treatment has ended, and last for an indefinite amount of time. Patients who received radiation therapy have also sympathized with the symptoms associated with Chemo Brain. The cancer community has repeatedly spoken up about suffering from this phenomena, but there are still doctors, friends and family who write them off. No offense to those disbelievers, but we agree to disagree with you. 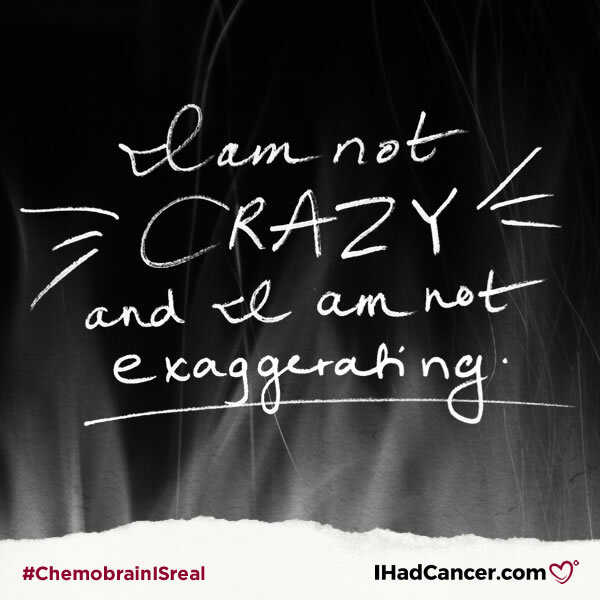 Chemobrain is real. 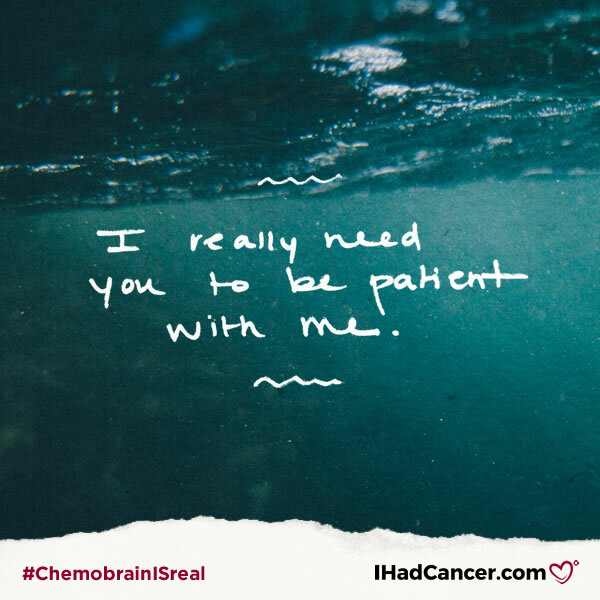 These ten reminders are for everyone who is or loves someone in the cancer community who is experiencing chemobrain. Whether you're reading this a former disbeliever, or you are reading this as someone who just found out about it. 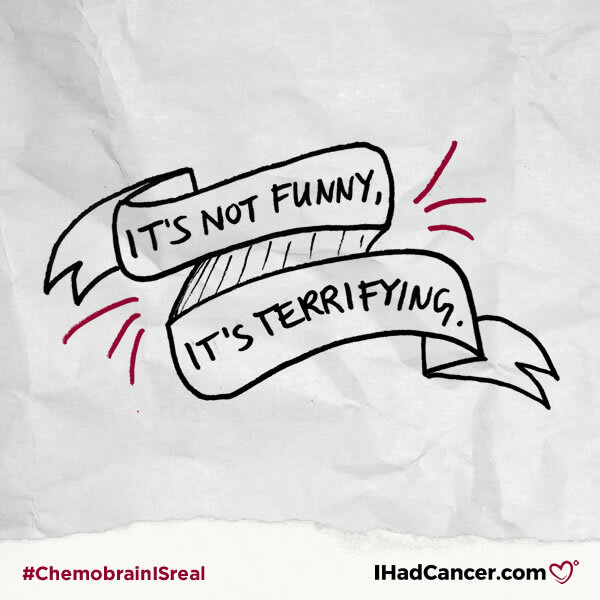 Whether you make it into a card that you distribute to people who begin to say "Chemo Brain doesn't exist" is purely optional, but we do recommend slipping in a healthy reminder to loved ones who may not know how to sympathize with your new "quirks." 1. 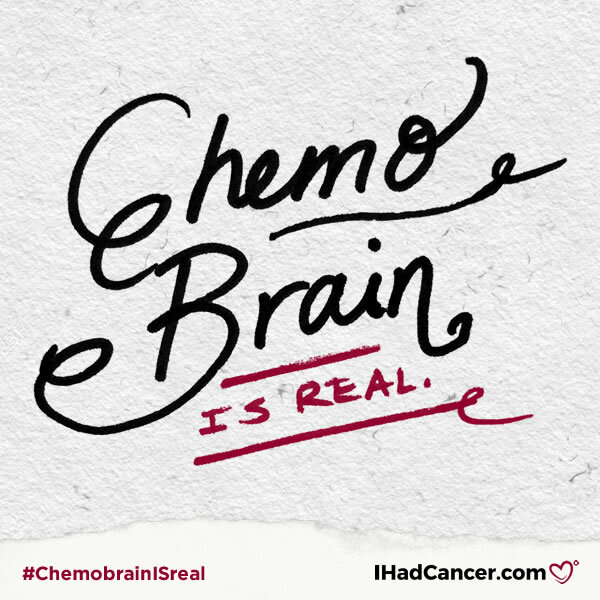 Chemobrain is real. I don't care if my doctor doesn't say so. 2. 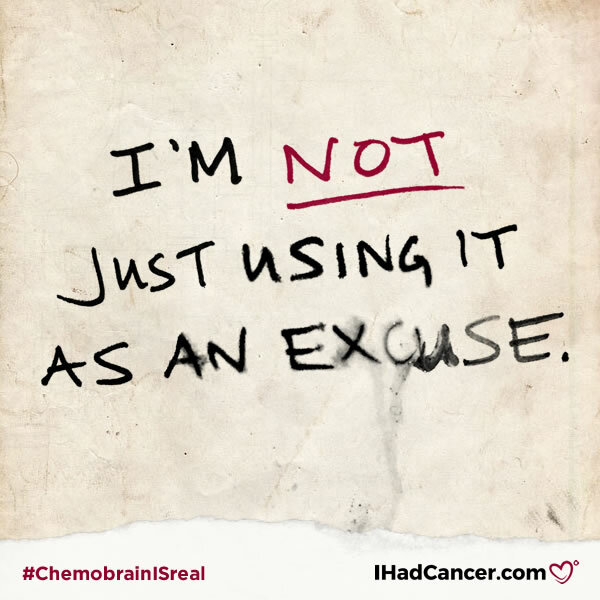 I'm not just using it as an excuse. Trust me, I don't WANT to forget things. 3. I am not crazy & I am not exaggerating. I'm being honest. 4. It feels as if you're wearing a cap on your head that's made of fog. And it's impossible to remove. Thank you Susan L, for sharing this sentiment with us! 5. My least favorite words are now, "You already told me that." You don't realize it, but it is so embarrassing to hear that. 6. I really need you to be patient with me. I know you want to snap at me but please don't. 7. It's not funny, it's terrifying. You may laugh at first but after a while there is no joke anymore. 8. 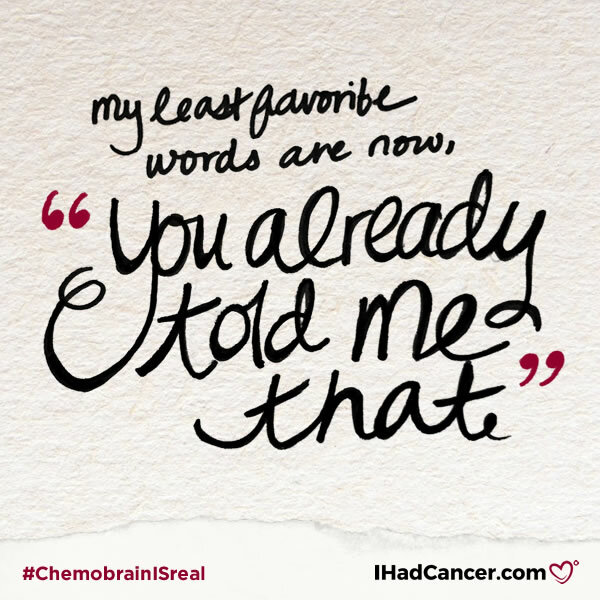 Chemo brain can last for years. Yeah, so we have to find a way to get used to it. 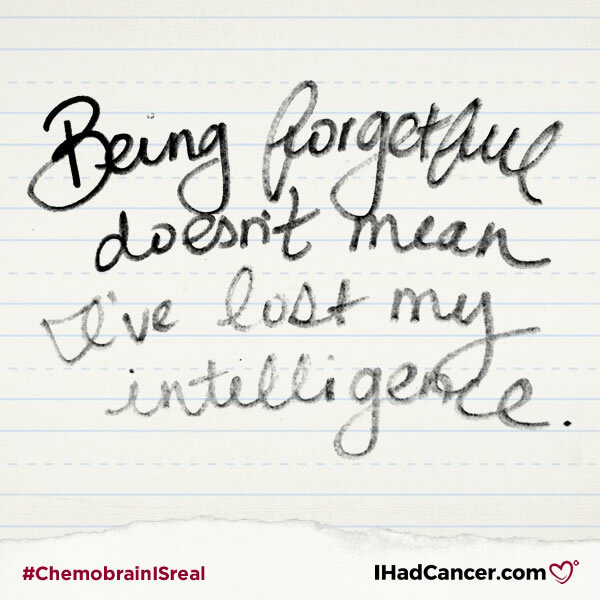 9.Being forgetful doesn't mean I've lost my intelligence. So please don't talk to me as if I won't understand. 10. Trust me, it's more frustrating for me than it is for you. I know it's annoying to repeat yourself but imagine if you were me. What else should we add to this list? Let us know in the comments below.